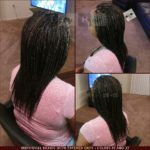 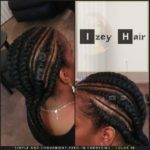 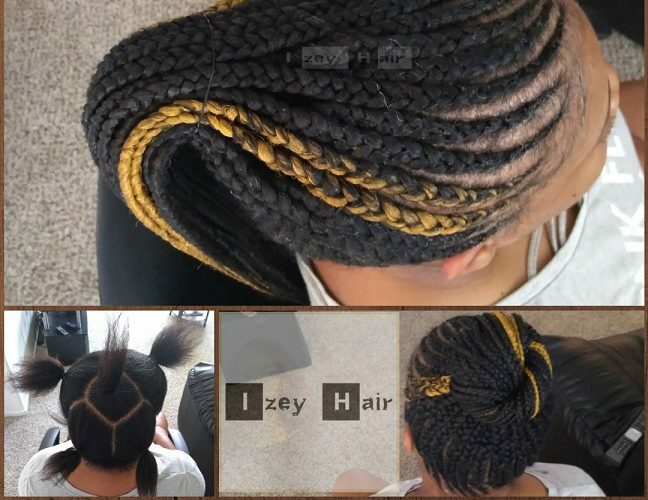 Feed-in Braids , also known as Feed-in Cornrows and Scalp Braids, styled in a Ponytail and Bun. 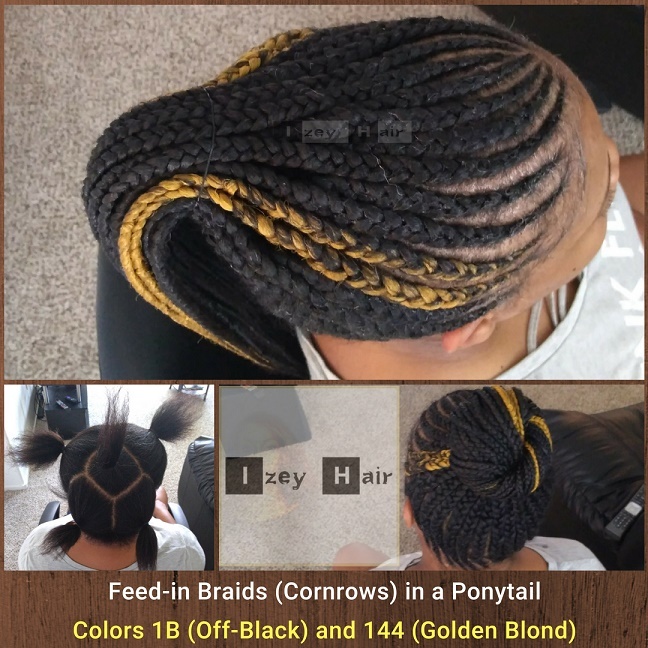 The braiding hair colors are 1B (off-black) and 144 (golden blond). 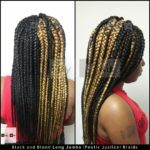 At first she requested 2 on one side braided with gold blond, and the rest in black. 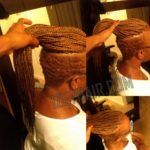 But as we progressed, we realized having 2 braids on each side with color will enhance the ponytail and bun. 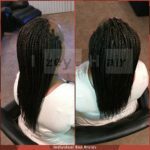 I used hair wax to smoothen the feed-in (feeding) cornrows, and I dipped the ends in hot water to tame and seal them. 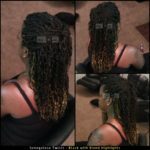 For DIYs, there’s a Video Tutorial on how to do feed-in braids below.